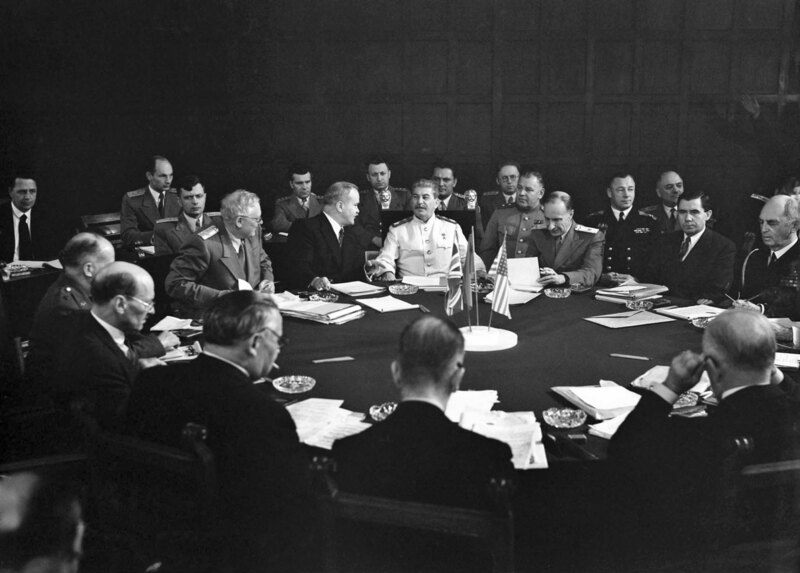 The Potsdam Conference. The Soviet delegation, headed by the Chairman of the State Defense Committee of the USSR, Joseph Stalin. At the table is also present Clement Attlee, who replaced Churchill as prime minister. The Potsdam conference was held in Potsdam from July 17 to August 2, 1945 with the participation of the leadership of the three largest powers of the anti-Hitler coalition in World War II in order to determine the further steps for the post-war arrangement of Europe.